Too often students pursue majors in fields of interest that provide economic and networking benefits ultimately giving them the staying power in the industry to climb the corporate ladder. Similarly employees continue in a role because of intangibles like promotions, salary, bonuses, and vacation. But how do you modify the mundane of employment to increase the respect and value to make a career change? Become an office game changer. 1). Volunteer for unrelated assignments. The key to being noticed goes beyond the norm of excelling in the current role. That is to be expected. Find tasks that have nothing to do with your job in another department, deliverables as part of a volunteer program or nonprofit organization. Showcase these newly acquired talents that can most likely be used for a desired career. 2). Find a mentor in the desired field. Mentors are the quintessential components of success for anyone who wants grow professionally. Mentors are supportive, loyal, and interested in their "mentees". Choose a mentor who has a network of comrades with available resources that can offer opportunities for experience. 3). Use time wisely to be productive. Game changers maximize each moment by becoming efficient with time spent interacting with various people. Determine who can help you, who you can help, and who will distract you. Balance time between the former two and all but eliminate any focus on the latter. Being an employee or working in corporate America does not have to be a dead end. 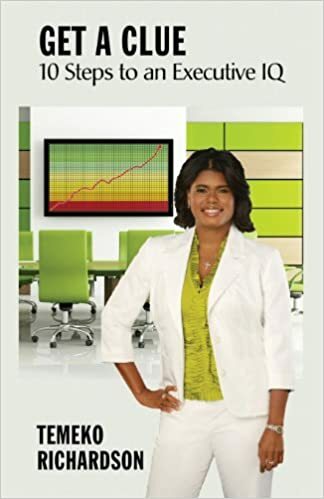 If you work hard and research the opportunities available that can get you to your dream job, the path is yours to travel as long as you are willing to take the chance and put in the effort for the ultimate win - the career change. 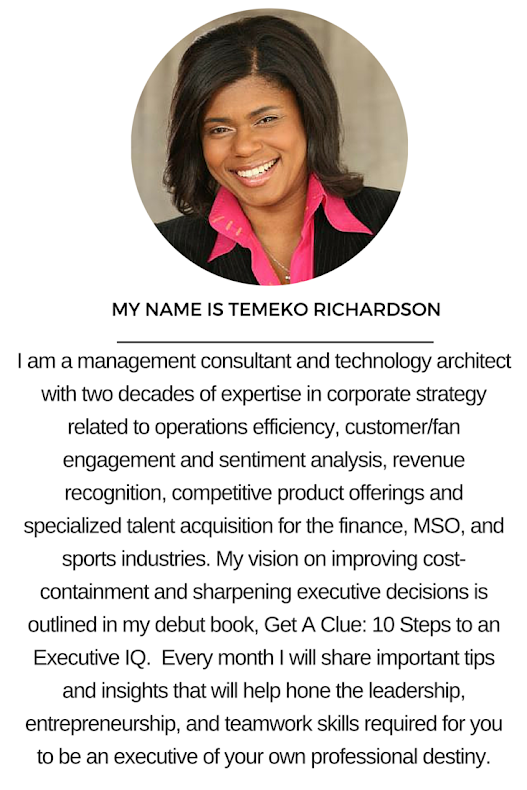 For more business information, be sure to follow on Twitter (@temekoruns) or purchase the book, Get A Clue 10 Steps to an Executive IQ.